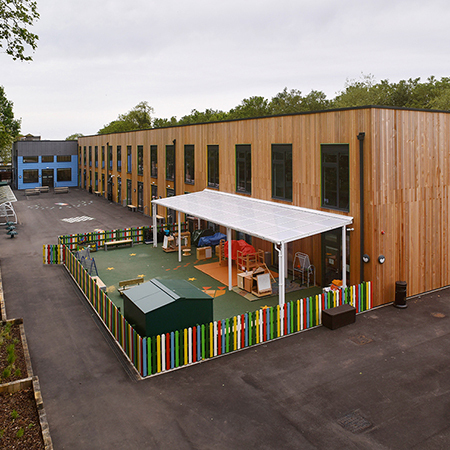 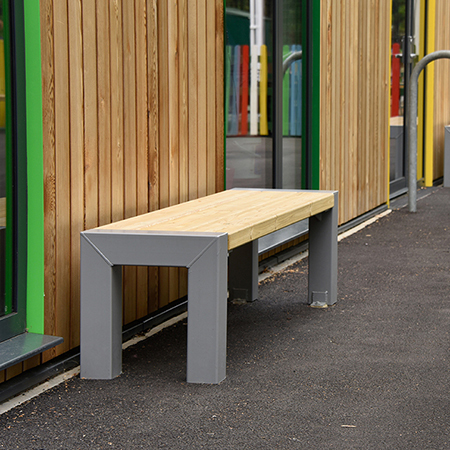 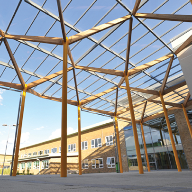 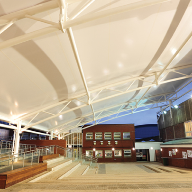 Broxap Ltd. provided shelters, cycle parking, seating and traditional playground features for the new Ark Byron Academy, Acton, London. 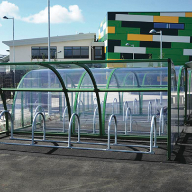 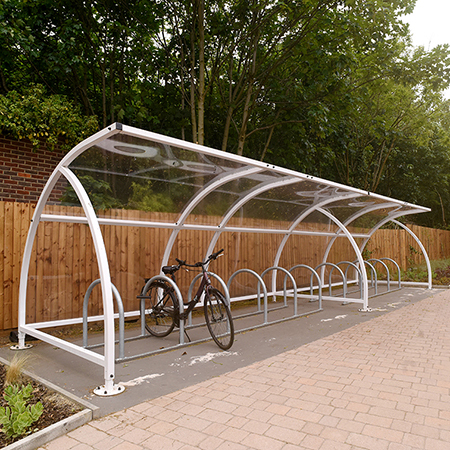 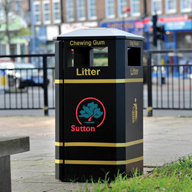 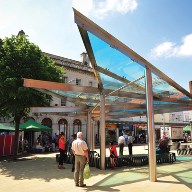 Working with Balfour Beatty Construction and with the London Borough of Ealing, Broxap Ltd. supplied a wide range of external furniture, this included two runs of New Sheffield Cycle Shelters to park 22 and 42 cycles respectively. 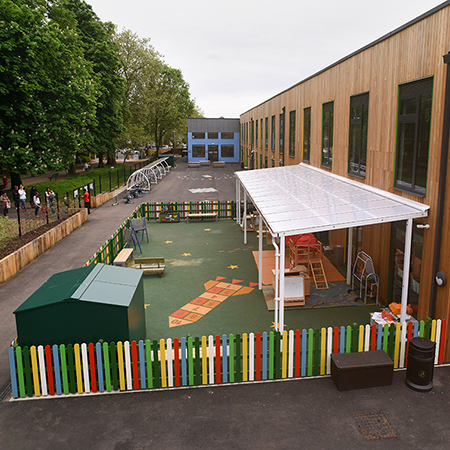 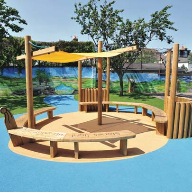 Broxap provided a Newcastle Monpitch Shelter to the outside of one of the classroom areas and subsequently laid the ground around this area with soft play surfacing into which has inlaid ‘traditional game’ markings such as hopscotch. 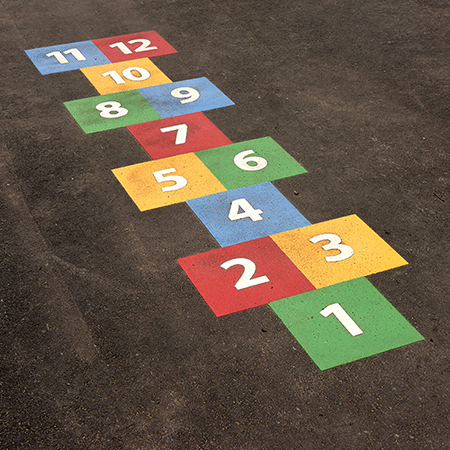 Broxap also added some traditional playground ‘game’ markings to other playground areas which had tarmac. 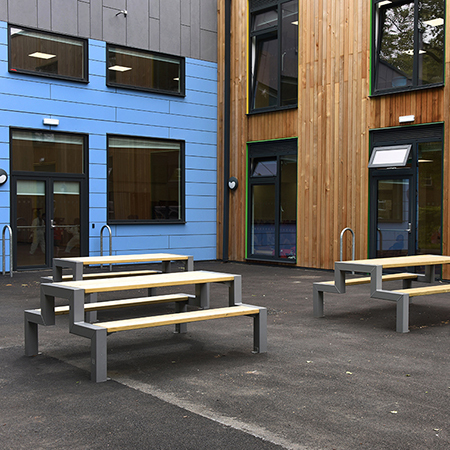 Outdoor dining was provided by a series of Broxap Brompton Picnic Units and outdoor seating throughout the school yard areas was provided by Broxap Belvedere steel and timber benches. 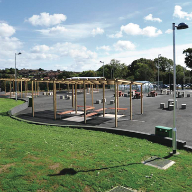 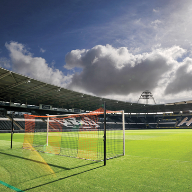 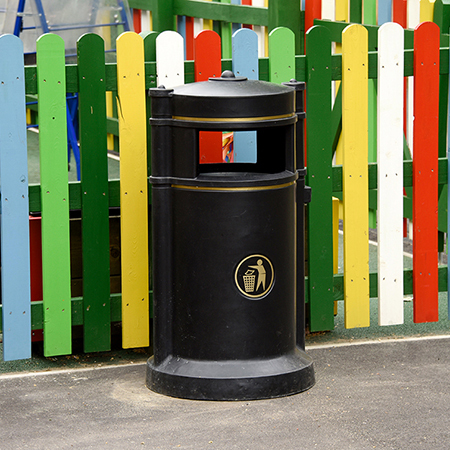 Broxap also provided a series of door barriers to outward opening doors across the play areas.